The college hoops season is finally here. 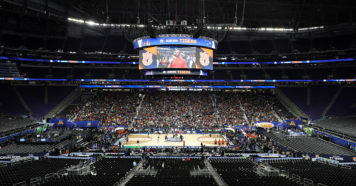 With that, there are plenty of faces throughout the country who will not play when their respective teams take the court for the first time for one reason or another. We give you the Comprehensive “Not Available” Report for nearly all of the D-1 programs. Continue to check the report for updates. Albany – Philip Flory (broken foot) out until January. Antonio Rizzuto (cracked sternum) questionable for season-opener. Hartford – Romain Boxus (wrist) out 1-2 weeks. Stony Brook – Hassan Ceesay (leg) expected to miss 2-3 weeks. UMass Lowell – Alex Rivera suspended for the UMass game by NCAA due to playing in summer charity event. UMBC – Daniel Akin (knee) out until late-November. Vermont – Skylar Nash (ACL) is day to day. East Carolina – Freshman Rico Quinton (knee) out. Memphis – Lance Thomas (transferred from Louisville) waiting on waiver decision from NCAA. SMU – Jarrey Foster (torn ACL) could miss the first couple games. South Florida – Madut Akec (stress fracture in foot) expected back soon. Temple – Arashma Parks (shoulder) is out until December. UConn – Sidney Wilson has been suspended indefinitely. Wichita State – Teddy Allen waiting on waiver decision from NCAA. Clemson – Elijah Thomas (ankle) doubtful for season-opener, Trey Jemison (knee) is out, Malik William (concussion) out indefinitely. Florida State – Phil Cofer (foot) out about six weeks. N.C. State – Braxton Beverly (broken hand) out another 3-4 weeks. Syracuse – Jalen Carey (ankle) and Frank Howard (ankle) are both out indefinitely. Howard Washington (knee) is questionable for the opener. Virginia – Francisco Caffaro (knee) will likely redshirt. Francesco Badocchi (medical) is out indefinitely. Virginia Tech – Chris Clarke (suspension) out indefinitely. Florida Gulf Coast – Brian Thomas (stress fracture) is out until late-November or early December. Kennesaw State – Drew Romich ineligible first semester, second semester eligibility pending. Lipscomb – Jaxson Strates (ACL) out for season. Fordham – Prokop Slanina (shoulder) out indefinitely. La Salle – Jack Clark (ACL) yet to be cleared. Saint Louis – Elliott Welmer (foot) out at least 8-10 weeks. St. Bonaventure – Courtney Stockard (knee) is doubtful. VCU – Marcus Evans (Achilles) questionable for season-opener. Butler – Markeese Hastings (knee) day to day. Bryce Golden (shoulder) out indefinitely. Marquette – Greg Elliott (thumb) out until December. Xavier – Quentin Goodin (shoulder) is day to day. Idaho – Nate Sherwood (psoriatic arthritis) career is over. Tomas Domingo suspended indefinitely. Montana State – Tyler Hall (ankle) questionable for season-opener. Portland State – Mike Mayhew (academics) will be eligible mid-December. High Point – Curtis Holland (foot), Cliff Thomas (foot) and Othello Smith (ankle) all out for 1-2 weeks. Longwood – Jaylon Wilson (broken hand) out a couple months. Gemarion Jeter (concussion) expected back in late-November. Gus Okafor (ankle) out a week. Radford – Travis Fields, Carlik Jones and Devonnte Holland all suspended for the season-opener. UNC Asheville – LJ Thorpe (broke foot) out eight weeks. USC Upstate – Deion Holmes (broken hand) out two weeks. Illinois – Anthony Higgs (foot) will miss at least the first few games. Iowa – CJ Fredrick will redshirt. Minnesota – Eric Curry (left knee surgery) will miss 4-6 weeks. Marcus Carr (NCAA) waiting on waiver ruling. Nebraska – Karrington Davis (Achilles) out for the season. Northwestern – Aaron Falzon (ankle) out indefinitely. Penn State – Mike Watkins (mental health) out indefinitely. Wisconsin – Aleem Ford (knee surgery) out indefinitely. Baylor – Mario Kegler (suspended) for six games for violation of team rules. Makai Mason (ankle) questionable for season-opener. Iowa State – Cameron Lard (suspended) is out indefinitely. Solomon Young (groin) out 6-8 weeks. 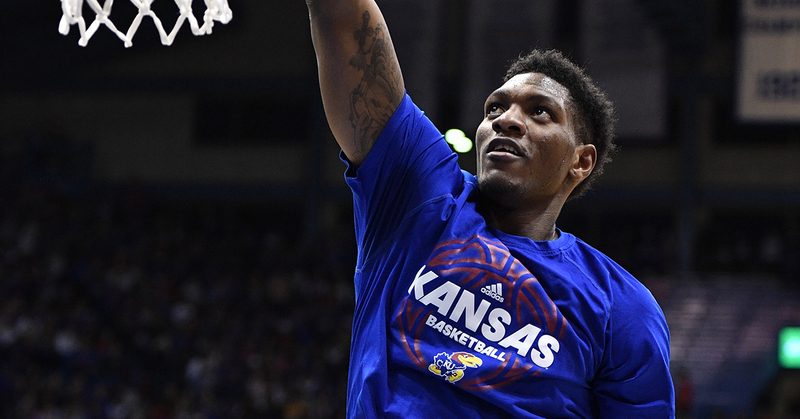 Kansas – Silvio De Sousa (investigation) being held out indefinitely. Oklahoma State – Michael Weathers (suspension) will miss an undetermined number of games. TCU – Jaylen Fisher (knee) is day-to-day. Texas – Kerwin Roach is suspended for the season-opener due to a violation of team rules from last year. Royce Hamm (sprained MCL) out a week or so. Texas Tech – Khavon Moore out indefinitely. Cal Poly – Karlis Goroza (knee) won’t play in the season-opener. Cal State Fullerton – Jackson Rowe (stress reaction in foot) out indefinitely. Cal State Northridge – Rodney Henderson (knee) out a couple weeks. Long Beach State – Milos Apic (heart) is out until December. UC Santa Barbara – Max Heidegger (concussion) out indefinitely. College of Charleston – Marquise Pointer (elbow) will return soon. Delaware – Ryan Allen (broken foot) out until mid-December. Towson – Jordan McNeil (hand) questionable for season-opener. Charlotte – Luka Vasic (ACL) out for the season. Marshall – Jeremy Dillon will redshirt. North Texas – Roosevelt Smart (calf) day to day. Abdul Mohamed (knee) out a week. UTEP – Nigel Hawkins (hand) expected to miss the first few games. UTSA – Jhivvan Jackson (ACL) should return in early December. Western Kentucky – Desean Murray (suspended) for the season-opener. Lamonte Bearden (academics) out until mid-December. Northern Kentucky – Tre Cobbs (ACL) may return this season. Harvard – Seth Towns (knee) and Bryce Aiken (knee) are out indefinitely. Reed Farley is also out indefinitely. Penn – Jelani Williams (ACL) out for season. Canisius – Marcale Lotts out 2-3 weeks. Fairfield – Omar El Sheikh (tendinitis) is out indefinitely. Siena – Khalil Richards (torn quad) out for the season. Kent State – Danny Pippen (knee) out indefinitely. Troy Simons (NCAA) waiting on ruling from NCAA to be able to play immediately. Miami (OH) – Isaiah Coleman-Lands (foot) and Bam Bowman (foot) both questionable for season-opener. Ohio – James Gollon (hernia) out 2-3 weeks. Jordan Dartis (hip) out indefinitely. Ball State – Trey Moses (knee) is day to day. Northern Illinois – Eugene German, Zaire Mateen and Dante Thorpe all suspended for season-opener. Western Michigan – Jason Whitens (knee) out for the season. Bryce Moore (knee) out until at least December. Delaware State – Demola Onifade (knee) should return soon. Florida A&M – Randall Leath (wrist) out 2-3 weeks. Dexter Smith (foot) out indefinitely. Brendon Myles (shoulder) out indefinitely. Howard – CJ Williams (sprained MCL) out for season-opener. Maryland-Eastern Shore – Marlon Adams (shoulder) out for season. Justice Bartley (knee) out indefinitely. Isaac Taylor (elbow) is out indefinitely. Colen Gaynor not eligible right now. Norfolk State – Obi Momah (knee) out for the season. Steven Whitley (knee) out a week. Bradley – Luuk Van Bree (leg) expected back in mid-November. Ari Boya (leg) expected back mid-January. Illinois State – Taylor Bruninga (stress fracture) out until late-December. Northern Iowa – Austin Phyfe (medical condition) will miss a couple games. Tywhon Pickford (foot) questionable for season-opener. Valparaiso – Jaume Sorolla (ankle) out for two weeks and Micah Bradford (back) out indefinitely. Air Force – Caleb Morris (back) out for the season-opener. Boise State – Robin Jorch (shoulder) will redshirt. Colorado State – Kris Martin suspended first five games. Jeremiah Paige suspended one game. Hyron Edwards waiting on a waiver to be eligible at start of season. Nevada – Jordan Caroline (ankle) day-to-day. New Mexico – JaQuan Lyle (Achilles) out for the season. Carlton Bragg waiting on waiver to see if he will be eligible. San Jose State – Caleb Simmons (broken foot) out for the season. UNLV – Trey Woodbury (knee) out another week. Louis Bangai will redshirt this season. Utah State – Klay Stall (ACL) and Roche Grootfaam (ACL) both out for the season. Wyoming – Bradley Belt (academic redshirt). Jordan Naughton (knee) out 6-8 weeks. St. Francis Brooklyn – Larry Moreno (hip), Josh Nurse (stress fracture) and Milija Costic (stress fracture) all out indefinitely. Austin Peay – Isaiah Hart (toe) out three months. Eli Abaev (hip) out indefinitely. Matheus Silveira (NCAA) not cleared yet. Eastern Illinois – Terrell Lewis (ankle) questionable for the opener. Morehead State – Tada Stricklen (achilles) likely to miss the entire season. Tennessee Tech – Malik Martin (wrist) out 2-4 more weeks. Cade Crossland (knee) expected to return late-November. Caden Mills (knee) and Reece Wilkinson (knee) both out indefinitely. UT Martin – Waiting on NCAA decision for Preston Parks to play immediately. Arizona – Ira Lee (suspension) for the season-opener. Colorado – Dallas Walton (ACL) out for the season. Oregon – Louis King and Will Richardson both expected to return by December. Stanford – Bryce Willis (foot) and Kodye Pugh (wrist) are both questionable for the season-opener. UCLA – Shareef O’Neal (heart) out for the season. Tyger Campbell (ACL) out for season. Cody Riley (jaw) out for 2-3 weeks. Alex Olesinski (foot) out until late-December. 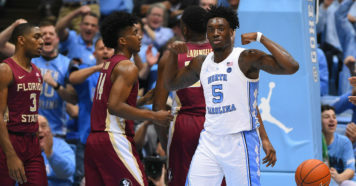 USC – Elijah Weaver (ankle) out 2-3 weeks. Boston University – Walter Whyte (ankle) out 4-6 weeks. Bucknell – John Meeks (foot) is questionable for season opener. Lehigh – Jack Lieb (foot) is out. Ed Porter (shoulder) expected to return in December. Alabama – Riley Norris (heart) out indefinitely. Arkansas – Khalil Garland (medical) still not cleared. Jordan Phillip (knee) likely to return in late-November or early December. Auburn – Austin Wiley (foot) will miss the season-opener. Samir Doughty (ankle) is questionable for the opener. Danjel Purifoy (NCAA) will miss the first nine games. Florida – Gorjok Gak (knee) out indefinitely. Kentucky – Jemarl Baker (knee) is day-to-day. Mississippi – Franco Miller (knee) will likely return in a week. Missouri – Jontay Porter (ACL) out for the season. South Carolina – Jermaine Cousinard (academics) still in review. TJ Moss (foot) out indefinitely. Alanzo Frink (Knee) expected back in mid to late-November. Tennessee – Zach Kent out for 2-4 more weeks. Chattanooga – Rod Johnson (knee) out indefinitely. Duane Moss (back) status uncertain for this season. A.J. Caldwell waiting on NCAA decision for waiver. Furman – Jalen Williams (suspended) will miss the first two games. VMI – Jordan Ratliffe (ACL) likely out for the season. Austin Vereen (ACL) out until at least December. Wofford – Trevor Stumpe (back) is questionable for season opener. Abilene Christian – Hayden Howell (feet) will redshirt this season. Incarnate Word – Keaton Harvey (knee) will redshirt this season. Northwestern State – Brian White out, Alex Comanita day to day. Jacob Guest, Brandon Hutton, DeAndre Love, Chudier Bile all out indefinitely. Stephen F. Austin – Aaron Augustin (elbow) out 1-3 weeks. John Comeaux out until at least December. Southeastern Louisiana – Marlain Veal (meniscus) questionable for opener. Chris Mejia (knee) out for season. Fort Wayne – Ramion Burt (foot) expected to be back mid-November. North Dakota State – Jordan Meidinger (knee) out for season. South Dakota – Tyler Hagedorn (plantar facia) expected back in late-November. Western Illinois – Jeremiah Usiosefe (injury) is out indefinitely. Appalachian State – James Lewis (NCAA) still waiting on decision. Mike Bibby Jr. (broken foot) expected back in mid-December. Arkansas-Little Rock – Damir Hadzic (hand) day to day. Georgia Southern – Simeon Carter (hernia) should be back in mid-November. Louisiana-Lafayette – Kobe Julien (ACL) expected to redshirt this season. R.J. Gladney (concussion) out indefinitely. Louisiana-Monroe – Youry White (knee) out for season. 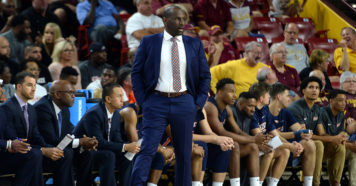 Alabama A&M – Gerron Scissom waiting to hear on NCAA waiver to become eligible for start of season. Mississippi Valley State – Aleksa Koracin (NCAA) waiting to be cleared by NCAA. Prairie View A&M – Dujuan Madden (ACL) out for the season. Southern – DeRias Johnson (stress fracture) out 6-8 weeks. Hassan Hussein (knee) expected back in mid- to late-November. Osa Wilson (NCAA) waiting on an amateurism ruling. Chicago State – Delundre Davis (knee) out for season. New Mexico State – Johnny McCants (stress fracture) out until December or January. Seattle – Jacob Eyeman (knee) will redshirt. UMKC – DeMarco Smith (broken foot) out until mid-December; Tony Jackson (concussion) out indefinitely. UTRGV – Uche Diamabaka (hand) out 2-3 weeks. BYU – Nick Emery (NCAA) suspended for nine games. Gonzaga – Killian Tillie (stress fracture in ankle) out eight weeks. Pacific – Amari McCray (ACL) out for season. Portland – Crisshawn Clark (dislocated ankle) expected back in late-December. Santa Clara – Matt Hauser (foot) and Juan Ducasse (knee) both out for the season.